You’ve got a good night’s sleep and you’re in perfect health. There’s no reason you can think of for you to have dark under eye circles and yet there they are. If you don’t reach for your concealer, you’re going to spend the day looking like a panda and there’s nothing you can do about it. Getting rid of dark under eye circles is a tricky business as there’s so much misinformation about what causes them. Yes, a lack of sleep and rampant stress can contribute to the appearance of dark circles. However, we’ll get to that in a bit, but let’s first cover the basics. For the most part, dark circles are merely just the vascular network that exists in your face. The reason why it’s visible under your eyes is that it is an area where the skin on your face is the thinnest. It’s that simple. As we got older, our skin gets even thinner and this is why the circles become more visible. To give you a frame of reference, the skin around your eyes is, on average, 0,5mm thick. In comparison, the skin on the rest of your body is about 2mm thick. Now let’s circle back (see what we did there?) to the sleep and stress. Both situations lead to increased production of cortisol, a hormone that increases the volume of your body’s blood supply. This causes the blood vessels under your eyes to engorge in a way that makes them more visible. While thinning skin is the primary cause of dark circles, sometimes they appear due to periorbital hyperpigmentation. These darker patches are the result of more melanin being produced under the eyes. This is something that tends to affect those with darker skin tones. Despite rumours, it has nothing to do with thinning skin so the amount of sleep you get. Nor is it affected by how well you manage stress. 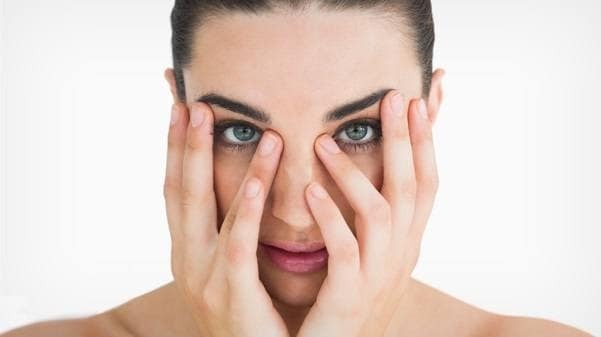 There are many eye creams that promise to reduce the appearance of dark circles but most of them can only do so much if anything. 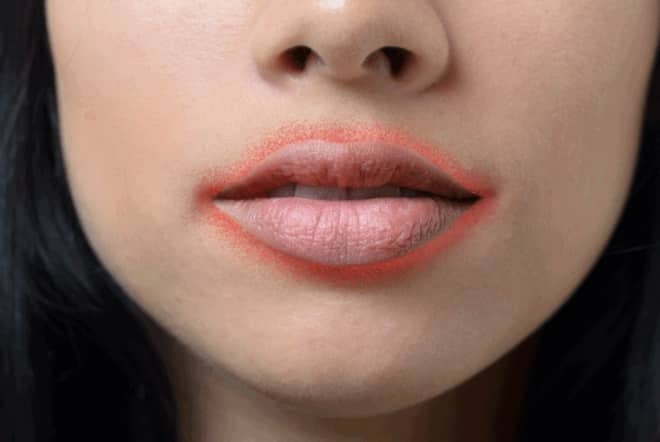 For example, if you’re using something to target a vascular issue but you’re dealing with pigmentation, it’s not going to help and vice versa. If you’re wanting to address dark circles caused by visible veins, look out for eye creams that contain caffeine. When it’s used topically, it has the ability to constrict your blood vessels and stimulate fluid drainage so it won’t just help lighten, it can zap under eye bags too. One of the eye creams you’ll find in our Online Skin Shop that contains caffeine is Neostrata SkinActive Intense Eye Therapy It has a rich, hydrating formula making it best suited to those with a drier skin type and aims to target circles and puffiness as well as all the signs of sun damage. Another way to reduce the effect of veins becoming more visible as you get older is to use an eye cream or serum containing retinol as it has the ability to thicken up your skin over time. We like SkinCeuticals Retinol 1.0 as it contains pure retinol at a concentration of 1%. Lastly, if you’re dealing with periorbital pigmentation, you’ll need an eye cream that inhibits the production of melanin, something like Lumixyl Revitaleyes. It contains Decapeptide-12 that can reduce pigmentation as well as improve the look of fine lines. If you want to thicken up the skin beneath your eyes in a way that delivers instant results that are more dramatic than using a topical product then consider tear trough rejuvenation using dermal fillers. 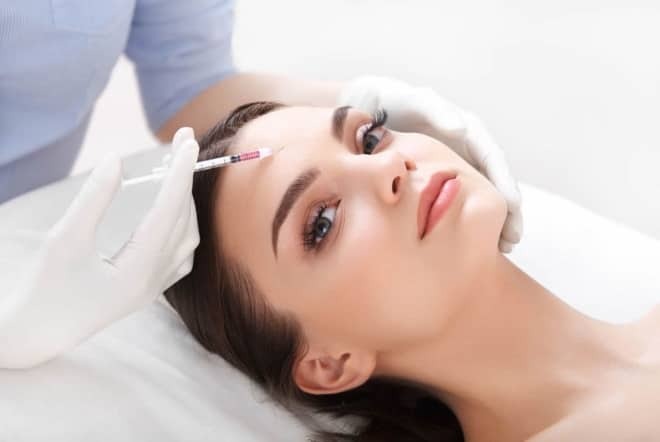 At Skin Renewal, this is a quick and easy lunchbreak procedure that our highly skilled doctors have been doing for years using a hyaluronic gel filler. These are given via micro-injections along the line of the hollow (don’t worry, we apply a numbing cream first) and then massaged into the skin to produce even-looking results that can last for up to five years. You’ll need two treatments to get the full effect, but you’ll see a huge improvement just after the first. There’s a long term skin-plumping benefit too because the filler also encourages your skin to produce more collagen. Another way we improve dark under eye circles is via carboxytherapy. This involves using tiny needles to inject CO2 just beneath the surface of your skin to stimulate blood flow. You’d need four to six treatments and the results are cumulative. After your final treatment (again, we use a numbing cream), you’ll enjoy a big improvement in skin texture, wrinkles, fatty tissue and luminosity. Better yet, it also helps improve pigmentation. Still, if you’re dealing with serious pigmentation under your eyes it’s best to chat with one of our doctors who can do a full assessment as it can be a tricky area to treat. They’ll be able to suggest one of our Pigmentation & Sun Damage Solutions that’ll best suit the severity of your condition. Packages consisting of several treatments, they ensure the issue is targeted from all angles, not just one, in a way that produces superior results.